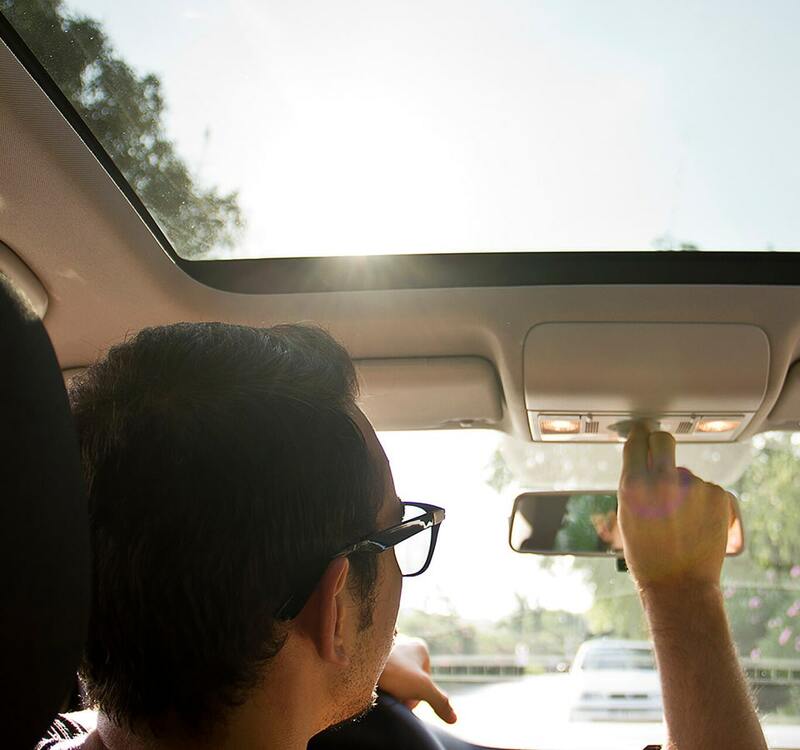 Sunroofs are a great feature to have on any vehicle but when your sunroof glass breaks or becomes damaged it can be a serious inconvenience. If this happens to you, then trust Super Auto Glass to save the day. Our mobile service will come to you as soon as possible to provide sunroof replacement in Calgary and surrounding areas. With our service, you won’t have to worry about getting your car to the shop on time or leaving it there for the day while it’s fixed. Super Auto Glass comes to you at your location with all the necessary tools and completes the sunroof replacement or repairs, at your convenience! Pop-up sunroof: The pop-up roof is a fixed roof that tilts upward on a hinged to allow for ventilation of the car. Spoiler sunroof: This type of roof tilts on a hinge and then slides back on a track to completely open the roof. 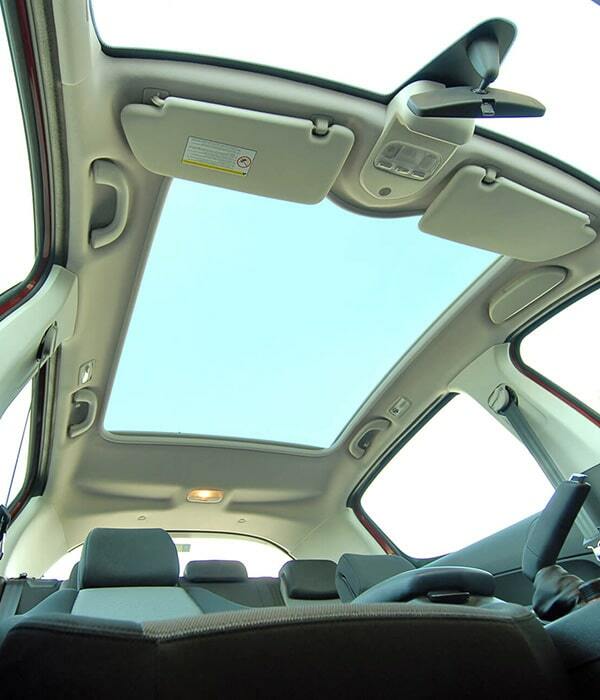 Panoramic sunroof: Giving you the best views, this consists of multiple panes that form one continuous unit when closed. As the sunroof is opened each pane retracts and stacks against one another. Solar sunroof: This type of sunroof helps to power the inner ventilation of your car using stored power from its solar panel cells. Top-mount sunroof: The top-mount sunroof slides back along a track and sits outside the car on the roof of the vehicle. This allows for extra headroom in the cabin. If your sunroof breaks, the entire interior of your car is at risk for possible damage, especially if the glass is completely shattered. 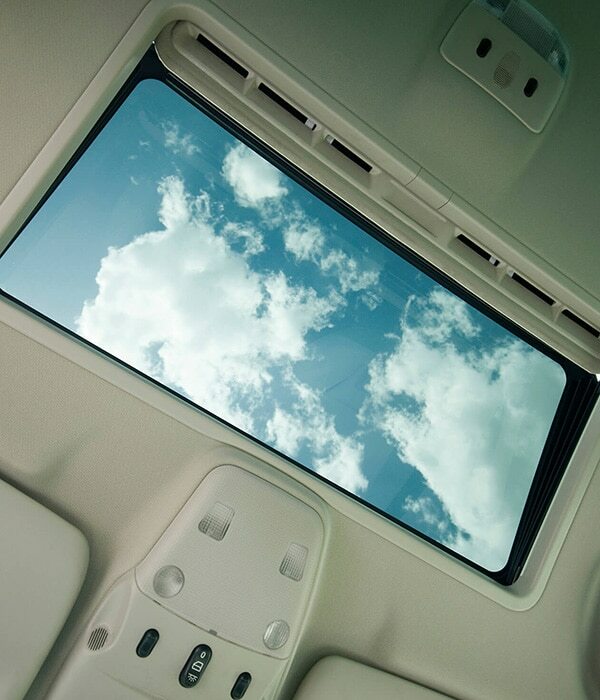 An open window on the roof of your car will let in dust, dirt and other debris, dirtying your car interior. Not to mention that you are no longer protected from rain and other precipitation. A broken sunroof is also a safety hazard, as driving with one can be very distracting. Your best option is to call Super Auto Glass right away to set up a time to complete your sunroof replacement in Calgary. We will get to you as soon as we can. Get in touch with our expert team to today to learn more about our glass replacement services or to request mobile service.